Army fitness is at a turning point. After decades on the push-up, sit-up and run model, the service is piloting a combat fitness test to measure whether soldiers are up to the physical challenge of battlefield tasks. But the physical aspect is just the first step in a reworking of the way the Army looks at overall health, the commander of the Center for Initial Military Training told Army Times in a Sept. 28 interview. “If you think about fitness for the Army, and this is holistic, meaning it is physical, it is mental, it is spiritual, it is nutrition-based, it is performance-based,” said Maj. Gen. Malcolm Frost. The Army Combat Readiness Test, which has completed two pilots already and is gearing up for a third, is a six-event test that measures all five domains of fitness: Speed/agility, muscular endurance, cardiovascular endurance, explosive power and strength. The new six-event test can better measure a soldier’s readiness, and it could be mandatory as soon as next summer. That’s an improvement on the existing Army Physical Fitness Test, which only measures the two types of endurance, Frost said. Changing the way the Army thinks about what it takes to be ready to win in combat represents a “generational shift,” he added. That starts with physical training, he said, but, in particular, training that uses the right mix of muscle groups, while including the right recovery regimen to reduce injuries. “In musculoskeletal injuries we had, you know, 10 million limited duty days last year — half a million soldiers per year,” he said. That added up to almost $1 billion spent on treating those injuries, he said, on top of the billions the Army spends on training soldiers who ultimately aren’t combat-ready. 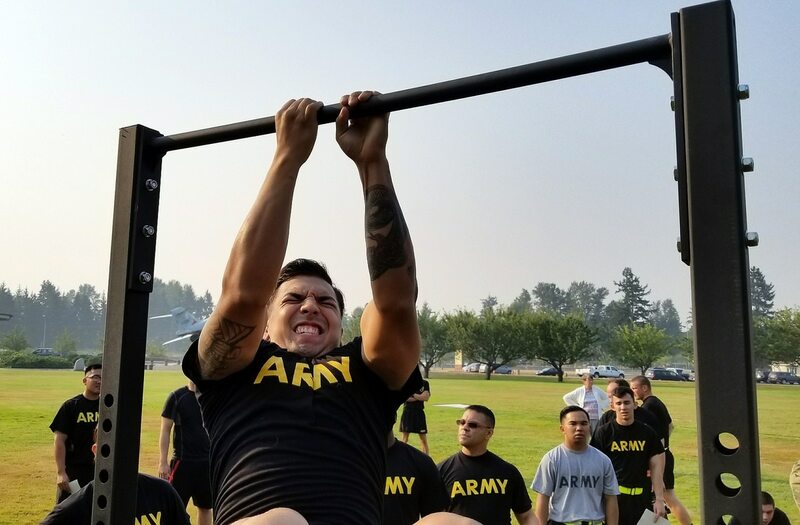 The cost savings probably won’t add up to the expense of reworking the Army’s entire fitness enterprise, to something that more resembles the physical, nutrition and mental support available to special operations forces.